Breakfast In The Ruins Halloween Mix CD. Cross-posted with Breakfast in the Ruins. 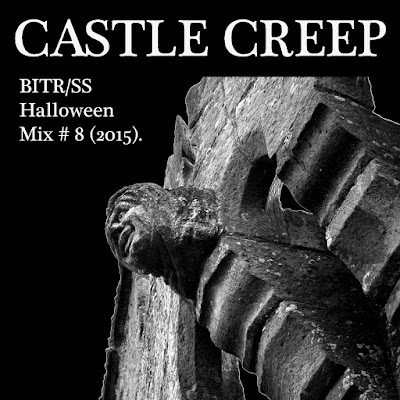 Here, as tradition demands, is this year’s All Hallows mix CD, presented for your listening pleasure, and hopefully allowing you enough time to incorporate its delights into your festivities, or dark and solitary rites, or whatever else you’re up to this weekend. Rumours that I’m now running short of material for these mixes after eight years should be treated with the derision they deserve, and listeners may be assured that, if mainstays such as Roky Erikson, The Cramps and The Misfits are absent this year, newcomers like Bum and Vanilla Fudge should make for more than adequate replacements, and there’s even the world premiere of a new Skull Tennis track to get your pulse pounding too. Thrilling stuff and no mistake. Featured movies this time around are ‘The Devil’s Nightmare’ (Jean Brismée, 1971 / soundtrack by Alessandro Alessandroni) and ‘The Psychic’ aka ‘Seven Notes in Black’ (Lucio Fulci, 1977 / soundtrack by Bixio, Frizzi & Tempera), with a little bit of ‘Gli Occhi Freddi Della Paura’ aka ‘The Cold Eyes of Fear’ (Enzo G. Castellari, 1971 / soundtrack by Ennio Morricone) thrown in for good measure. Whatever you’ve got planned for Saturday night, I hope you can find some enjoyment herein. If you’ll forgive me for starting off with yet more inconsequential indie-spod war stories, I still rue the day I turned down the opportunity to see Vibracathedral Orchestra perform at some Sonic Youth-curated ATP back in the early ‘00s. I recall they were the first band of the day, on at some ungodly hour like 1pm, and this impeccably hip cat from Brighton we were sharing a chalet with was keen to go and check ‘em out. The name wasn’t familiar to me at the time, and I couldn’t much be bothered with the idea of facing down an ‘orchestra’ so early in the day, so he headed off, and I declined, probably in order to do something stupid like have breakfast, watch TV, or wait for my friend to get up. My loss x 10. It was probably a year or two after that that I first began to acquire some VCO CDs and CD-Rs through the usual sources for such things, and it’s subsequently taken a full decade for the realization of their import and singularity within the UK underground to filter down into my consciousness and become fully apparent. Releases like ‘Versatile Arab Chord Chart’ and ‘Lino Hi’, grabbed at random from the band’s voluminous run of temporally uncertain (self-)releases, remain solid senders in my listening to this day, but my favourite was and still is a CD-R of live recordings named ‘Hex Hostess’, presumably taped during a European tour if the track titles are anything to go by. A seething, 80 minute mass of densely-packed room sound, sounding like the work of four or five individuals working in perfect psychic harmony with each other whilst wringing sound out of a collection of instruments previously unknown to mortal man, this disc is an wonderful testament to the band’s power as an inspired noise-making unit, and stands as one of my favourite drone things of all-time. It could certainly do with a swish vinyl re-issue, if any sympathetic label owners with a few quid to spare happen to be reading. I remember Vibracathedral main-man Neil Campbell once commenting on a long-departed online forum that the lengthy drone-jams on the Velvet Underground’s elusive ’66 Exploding Plastic Inevitable live recordings provided a key reference point for the sound he wished to achieve with VCO, and indeed, if you’re familiar with those tracks (now legitimately available on one of the endless reissues of the banana album I believe), they do indeed form a useful jumping off point for VCO’s trademark ‘sound’. Whilst other early canonical drone-rock touchstones (Parson Sound say, or the early Tony Conrad/Dream Syndicate stuff) overlap with VCO’s agenda to a certain extent re: projecting the sense of a single, undifferentiated roar, it is the Velvets EPI jams that come closest I think to sharing the kind of tactile, for want of a better word ‘scrapey’, quality of VCO’s music, eschewing (probably more by necessity than choice) the ‘monolithic’ feeling that tends to dominate once feedback, distortion or electronic modulation is applied to a drone, instead building an all-encompassing racket out of a recognisable acoustic room sound – if admittedly a room whose contents sound entirely alien. If none of this is terribly relevant to your way of thinking, well, never mind – suffice to say, I like Vibracathedral Orchestra an awful lot, but, since missing out on that initial live exposure to their sound, their physical reality as a performing group remains a weirdly mysterious prospect to me. Living far removed from their Northern base of operations, I strongly suspect that many of their comings and goings over the years have slipped entirely under my radar. After years of low level anticipation though, I now finally hold in my hand something very tangible from the reconvened and apparently reinvigorated group. It’s LP shaped, it was delivered to my house last month via the auspices of the unquestionably solid VHF label, and furthermore, it trumpets the return of what is more or less the ‘full’ VCO line-up – Campbell, Mick Flower, Bridget Hayden, Adam Davenport, and Julian Bradley, with one Jon Godbert along for the ride too. So – ‘Rec Blast Motorbike’. Here goes. The opening of side # 1 is certainly quite bracing, pitching us straight into a densely tangled sound world that sounds something like a cross between the echoes of a two-stroke engine battering about the walls of a cathedral, and an ancient church organ being ground into dust. Swiftly leavened by queasily gratuitous, AMT-esque sci-fi synth blarps, this is a disorientating experience that leaves our ears with no choice but to forcibly acclimatize to what their being assailed with, before the track restlessly mutates into something else entirely, like some ever-shifting sonic shoggoth (perhaps distantly related to the pleasing Lovecraft fan-art vibes of the album’s cover illustration?). Despite its garbled collage title and familiarly mysterious methodology though, ‘Rec Blast Motorbike’ is notable for featuring a clearer recorded sound than I recall from previous VCO releases. Once we’ve rolled with the punches through the first few tracks (all of which are relatively short here, btw), we can gradually pick things out amid the blare, and sometimes those things are – whisper it – kind of normal. Where once VCO presented an undifferentiated curtain of sound, source instruments unguessable, we can now sometimes identify different components, perhaps even the contributions of different members, where once an inscrutable hive mind predominated. A vigorously thwacked floor tom here, a bit of knob-twisting on a Korg there, woody fragments of otherly tuned guitar twang….. for a brief moments mid-way through side # 1, they even sound like a particularly way-out rock band staggering to the end of a last song jam…. a worrying lapse into the tangible, to say the least. Thankfully though, skillfully-wrangled chaos still eventually predominates, with waves of gnarled mystery soon piling up like jabbering goblin-spirits around the speaker cones. The start of side two throws us straight back in at the deep end of classic Vibracathedral intoxication, sounding like a Moroccan night-club being blasted through a space-hulk afterburner, coiled tentacles beating out a rhythm of pure noise, like a window into some sanity-challenging Jabba the Hut mushroom trip. Fans can chalk this one up as a solid gold bit of action for sure. Side # 2 is a blast throughout actually; I absolutely love the last piece here (‘Precinct’) too – bold signifiers of ‘psychedelia’ (Doppler effect electronic whistles, rich splurges of fuzz, tinkling organ mess) splattered about like someone just took a knife to a Chocolate Watch Band master reel for some Jackson Pollack-inspired aggro – a spell-bindingly detailed & evocative blare. Oh man, did I just type all that? Well I guess it stands as evidence of this record’s psychotropic efficacy, if nothing else. Because after all, this is Vibracathedral Orchestra, and they’re not going to let you down in that regard, any more than the London Philharmonic are going to forget to tune up one day and bugger up a Bach tracking session. ‘Rec Blast Motorbike’ is, as ever, proper psychedelia, taken straight to its ecstatic conclusion, and as such you should get on it whilst you still have the chance. Available straight from VHF in the US, check Boomkat and Norman for copies in the UK. * Whilst I have attempted to offer some pointers on VCO’s ‘signature’ sound in these muddled paragraphs, it should be noted that the stylistic range across the releases I have by them is actually quite a bit wider (perhaps reflecting the group’s fluid line-up). 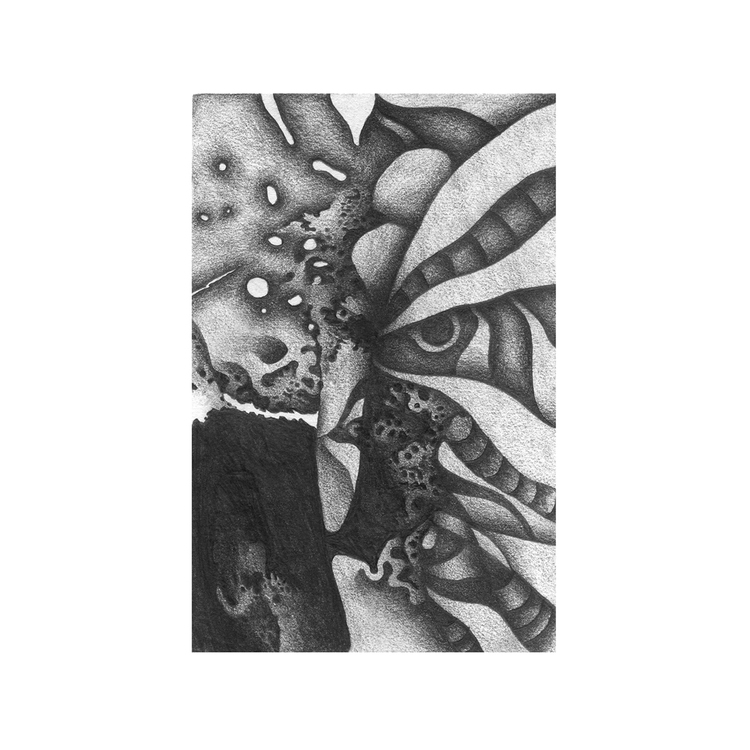 ‘Music For Red Breath’ for instance concentrates on minimal horror movie dread-scapes, whilst the ‘MMICD’ CD features some slightly more electronic stuff, bordering on muffled, DIY techno.